It has been six years since I retired from elite international competition, and I still dream – quite literally – of a nod and a “good job” from the USA women’s national team coach, Tom Terhaar. And in those rare instances where my sleeping mind grants me my wish, my entire next day is made: I float through my waking hours utterly certain of my capability. How is it that this person commands such authority? Perhaps it’s because he’s so sparing in his praise. Tom chooses his words carefully, and those who seek his approbation must earn it. Or perhaps it’s inherent in his position. Olympic dreams live and die according to his decisions. I suspect it is some combination of the two. Whatever the cause, his influence is undeniable. And I’ve long suspected that he cultivates it through deliberate action. Before every training session, the team gathers around the white-board at the door of the boat bay to receive instructions for the workout. Tom is several inches shorter than most of the athletes, yet manages to appear larger than life and command the room completely as he delivers his monologue. Surely he practices this technique in the mirror at home? Perhaps Tom’s most effective coaching technique is his silence. One teammate surmised it as his way of convincing us that he understands us. By saying nothing, he encourages us to extrapolate his thoughts. We must create our own narrative, and in doing so come up with our own answers. Personally, I always assumed it was a technique he uses to gather valuable information. Tom’s silence causes me to over-share. Me: Well, actually, the boat felt a little sluggish today. We weren’t quite connecting with the water as effectively as I would like. I think maybe… [insert lengthy analysis here]. Tom: Interesting. Thank you for letting me know. 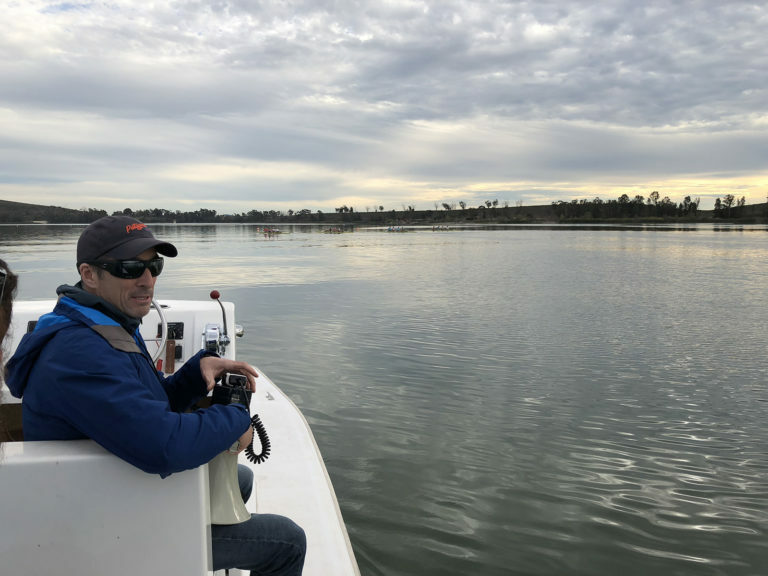 Tom’s silent blink-and-stare is so ubiquitous that it has become the team’s go-to comedic impression of him – the one we do when we’re recounting or reminiscing. Surely it is a calculated coaching technique? These are the kinds of questions I’ve long wanted to ask, which is why I jumped at the opportunity to write this article: it gave me an excuse to do so. At my request, Tom agreed – somewhat reluctantly, I thought – to sit down with me for an interview. I wasn’t surprised that Tom was reluctant to be interviewed. He has always shied away from the limelight. Not only is he reticent by nature, he wants his athletes to take ownership of their performance. Many years ago he told me, “This isn’t about me: coaches don’t get a medal. This is your Olympics.” To this day, that is perhaps the most revelatory piece of advice I’ve ever received from him. The answer is yes. He knows that our hopes and dreams live and die by his decisions, and he tries to be as clear as possible about expectations and as fair as possible about selection. I can attest to the fact that he takes these two concepts very seriously. I noticed soon after I joined the national team that Tom made a point of treating everyone the same. It was a source of frustration and even bitterness for me in those early years because I felt it was holding me back. The kind of coaching that makes my teammate faster causes me to shut down. To me, that is a signal that my coach doesn’t trust me to try my hardest, and in turn, I stop trusting my coach. One day in 2006, in the middle of a particularly discouraging session, I pushed back. I told Tom in front of the entire team that I did not appreciate his negativity. Looking back, I readily admit that was not the time or place for me to deliver that message. Later, in a private meeting, Tom told me to take some time off and to come back when I was ready to be a part of the team. 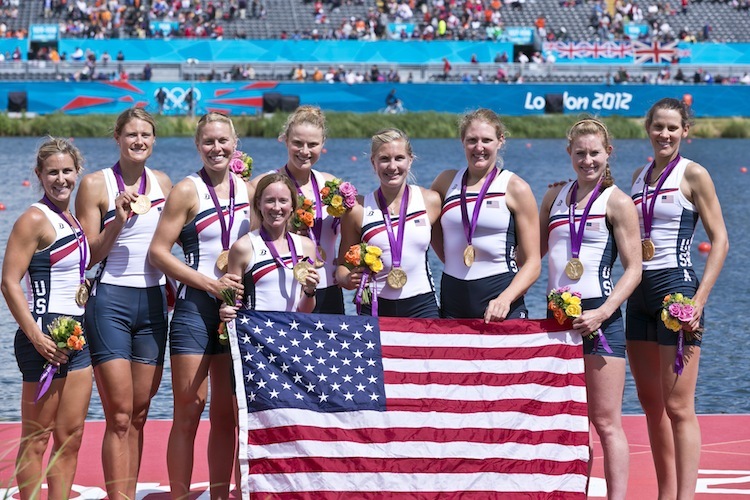 That summer – the summer the US women’s eight began its 11-year winning streak – was difficult for both of us, but we each made some changes: Tom adjusted his coaching to demonstrate his trust in my effort level; I adjusted my attitude to be more receptive to his guidance, and our relationship improved. That story demonstrates an aspect of Tom’s coaching for which he deserves significant credit: he’s always learning and adapting. He has developed the ability to read an athlete and understand what kind of motivation she needs while simultaneously maintaining an egalitarian team atmosphere. 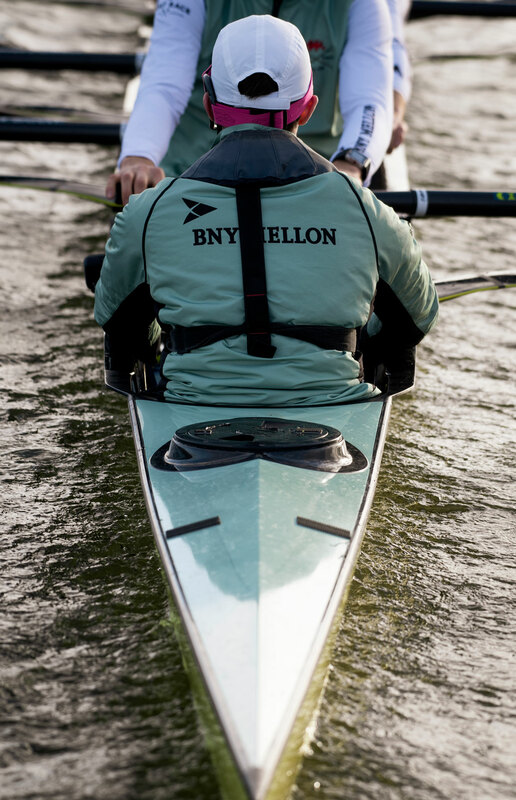 Moreover, it’s not unusual to find him at Starbucks poring over the latest physiological journal or in the boathouse studying slow-motion video that he filmed from the bushes at the side of the competition course in Lucerne. Another one of Tom’s strengths is his calmness under pressure. Tom has a remarkable aptitude for preparing athletes for competition. This athlete was referring to the fact that his coach invariably loses composure as competition approaches. Tom, in contrast, grows increasingly collected and supportive. His pre-race speeches are crafted to put athletes at ease and to focus us on the task at hand. In Beijing, he told us, “This is just another race. All you have to do is go out there and do what you do every day in practice.” We all nodded eagerly. Yes, exactly! That’s all we have to do! No problem! We’d been racing each other so often and so hard over the course of the year that we were eager for the prospect of lining up alongside someone other than our teammates. Going back to my original line of inquiry – whether Tom thinks about the impact he has on athletes. He didn’t really answer my question. His answer addressed our Olympic aspirations, whereas I was thinking more about the lasting impact on our lives – on who we are as athletes and as people. But I didn’t quite know how to frame the question. I didn’t know how to speak frankly with him. Instead, I asked Tom whether it was a conscious choice to maintain a certain professional distance from the athletes. Again, the answer is yes: he is very conscious of the need to be professional. It was some years later that I truly appreciated Tom’s remove. I witnessed a different national team coach sitting outside the boat bays in the minutes before practice started, laughing and joking with his athletes. The familiarity with which this coach used their nicknames and shared in their inside jokes made me uneasy. In that moment, it occurred to me that Tom being the way he is gave us ownership of the team culture off the water. We never needed to wonder whether he was favoring one athlete over another for personal reasons or worry that something we said in the locker room would somehow find its way back to him. It allowed us to bond as a team, a bond that I believe was integral to our success in the early years of the eight’s winning streak. And yet, that same emotional distance might also be Tom’s biggest fault. He becomes increasingly distant as we draw closer to Olympic selection, presumably in an effort to maintain impartiality and to adhere conspicuously to selection procedures. 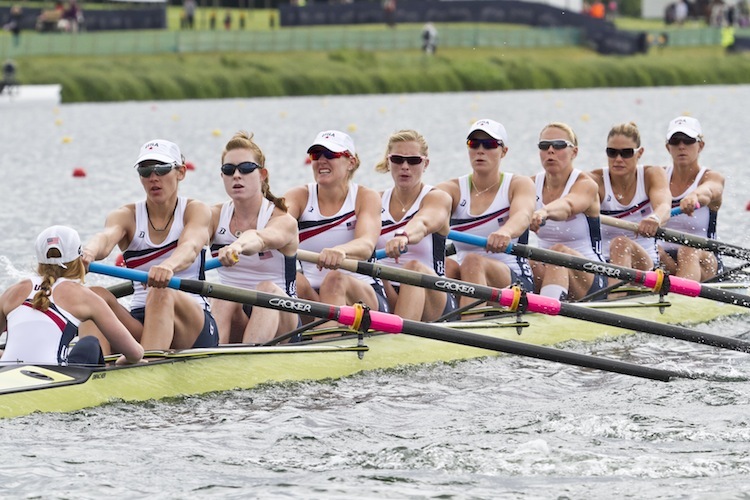 One must remember that athletes have sued USRowing over selection decisions in the past, and coaches must always take care not to say or do anything that could be used against them. When athletes reach the end of their competitive career, they naturally want some kind of closure, but they rarely get it – at least not from Tom. 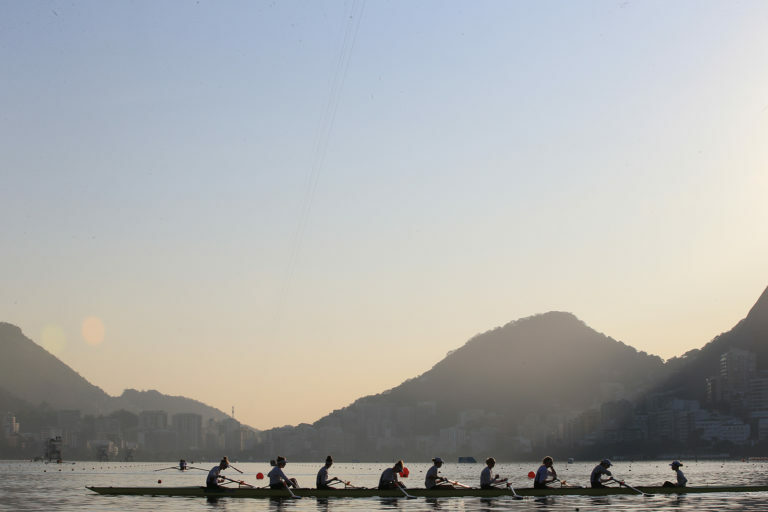 “When it comes to selection, no words can make the disappointment better,” Tom confirmed, “so less is more.” Unfortunately this also means that some athletes have ended their rowing careers feeling discouraged or devalued. Many of us have mixed feelings about Tom, but mostly we are grateful for the years we spent under his tutelage. “Sitting on the train with Kate Johnson, in my first year on the team, she told me a secret, she said that I must prepare myself to be pushed. Because that is what Tom will do – he will push you until you are about to break – intentionally. He has to do that so that he knows; the team knows; but most importantly you know that you can handle the stress and still keep going. Because that is what it takes to race to be the best in the world. As for me, I’m thankful for all that I’ve learned from Tom, about rowing, and life too. For example, I now utilize silence as a technique to get information out of others, often with great success. When I brought this up during the interview, Tom laughed. He was genuinely amused. That was the point in the interview where he opened up. We talked about his rowing background, his family, his admiration for his wife, and his priorities in life. What was Tom like as an athlete, I wondered? He was difficult. Tom was on the smaller side for an oarsman. He had to work harder than others just to make the boat, and he developed an attitude to match his effort. Who is Tom’s hero? His wife Jen. Tom’s eyes lit up as he spoke about her tireless work as a high school teacher and as mother to their four children, not to mention her accomplishments as an athlete. His admiration and love for Jen is both evident and endearing. What’s the best thing that ever happened to him? When Jen told him she was pregnant. At the time, in the fall of 2003, she was training with the team with the hopes of competing in the 2004 Olympics. She had to work extremely hard to make sure everyone knew Tom wasn’t playing favourites. 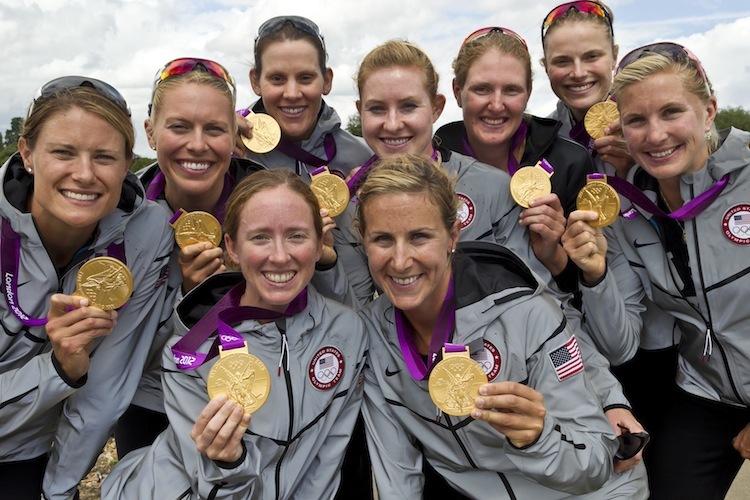 When they learned she was pregnant, she retired from rowing. It was the best thing that happened to him, both because he was excited to start a family and because he was relieved that he no longer had to coach his wife. As you can probably guess by now, Tom’s number one priority in life is his family. And no, the silence is not calculated. He is just naturally a quiet person. I felt lucky to see this side of Tom. For perhaps the first time in my life, I knew what he was thinking. I wonder whether he realized that I wasn’t there simply to get information out of him, but more to understand him, and in the process to help him understand us. Later that day he wrote me an email saying thanks for the interview, and that he hoped I learned something, because he certainly did.